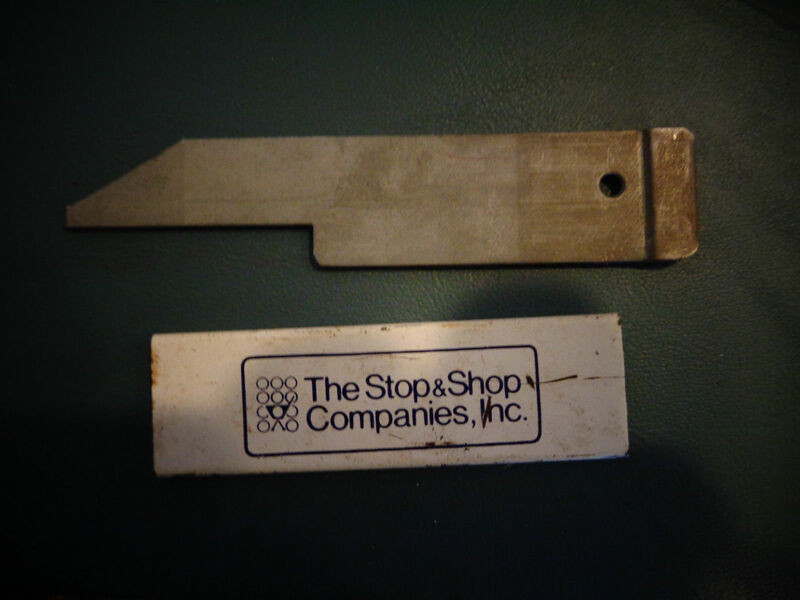 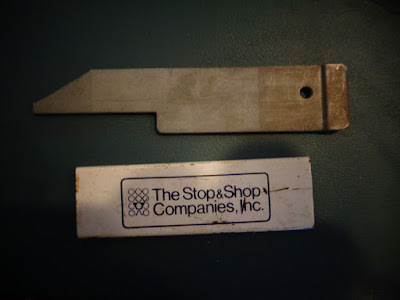 This box cutter is from the early 1980's, when Stop & Shop was its own multi-million dollar company, and operated Bradlees, Medi-Marts, and Perkins Tobacco Stores. 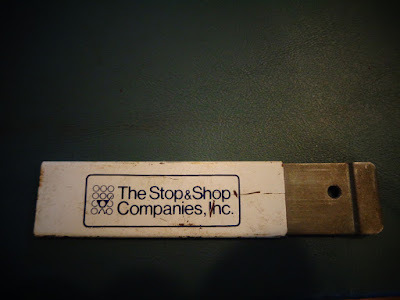 The cover on this box cutter is fashioned with Stop & Shop's signature Stoplight logo (however, corporate may have taken it overboard... there are a dozen circles! ), and the company name.